Hi all and happy Sunday! Hope your weekend has been great. I made this card for a friend who will be celebrating a birthday this week. I used another digi image by Mo Manning, called Make a Wish.....can I just say how totally addicted I am to Mo's images lately?...LOVE them! The scalloped over is up on foam tape and so is the large DP layer that sits on the card base. Stickles were added to random parts of the image. The sentiment is from an old SU set of mine and that's also up on foam tape. 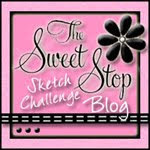 The layout is today's Sweet Sunday Sketch #144. Friends of ours just had their fourth child, a sweet baby girl, and I wanted to send them a Babies R Us gift card. These pop-up gift card holders are so easy and fun to make....it's the first template I go for whenever I have a gift card to give. The cute baby image is by Mo Manning....called "Spit Happens"......bwahahahaha! LOVE that....spit happens...HA! Congratulations to our friends, the Trustys, and welcome to the world, baby Caybrie! I made this card for a girlfriend of mine...and I think she'll get a real kick out of the sentiment....heehee!! 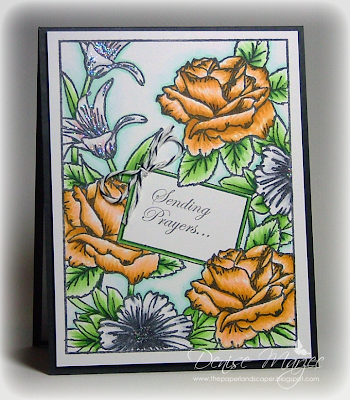 Stamps are by Anna Wight for Whipper Snapper Designs. 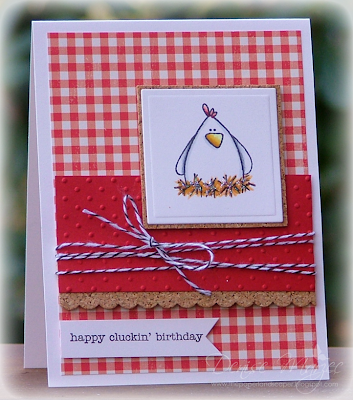 The stamp set is called Crazy for Chickens. Anyway, we have some more yard clean-up to do today and I still need to get all the potted plants off the deck. Hi all and happy Sunday! Hope you're all enjoying your weekend so far. Yesterday we went to my niece's birthday party and today we're headed to our friend's Halloween party.....the one that we couldn't make it to last weekend due to the big snowstorm (pics below). I made this card for my mom and dad's anniversary. 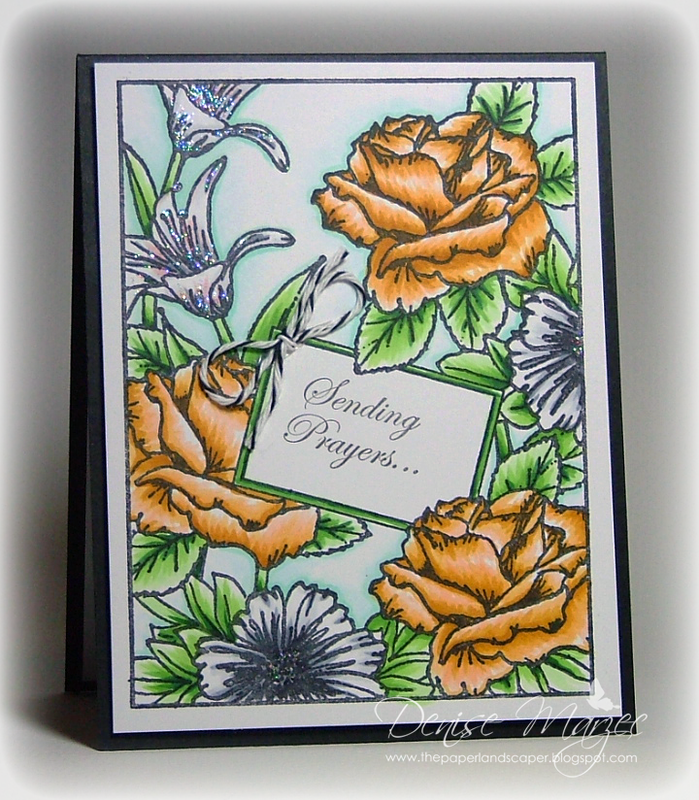 Yep, it's pretty much just like the card in my previous post....I just used different colors and a different sentiment. Two point dunk shot into the trampoline.. This was one helluva storm....it knocked down trees and limbs across the whole county and it took the power company SIX days to get our power restored. Crazy! Luckily we had a generator so we were okay, but man-oh-man, that's a long time to be without internet and cable TV....and as you can see, our yard was a mess! On our way to my niece's party yesterday, we STILL saw trucks out on the roads working on the power lines and trimming trees. 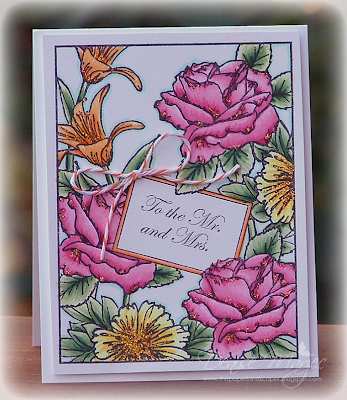 Nobody "enjoys" making a sympathy card, but I was in need of one so I pulled out my "Arranged with Love" set from Melanie Muenchinger for Gina K Designs. The image is so detailed, gorgeous and large that it can pretty much stand alone on a card. The only embellishments I added were Stickles and a little twine bow by the sentiment. Be sure to hug your loved ones and enjoy today!